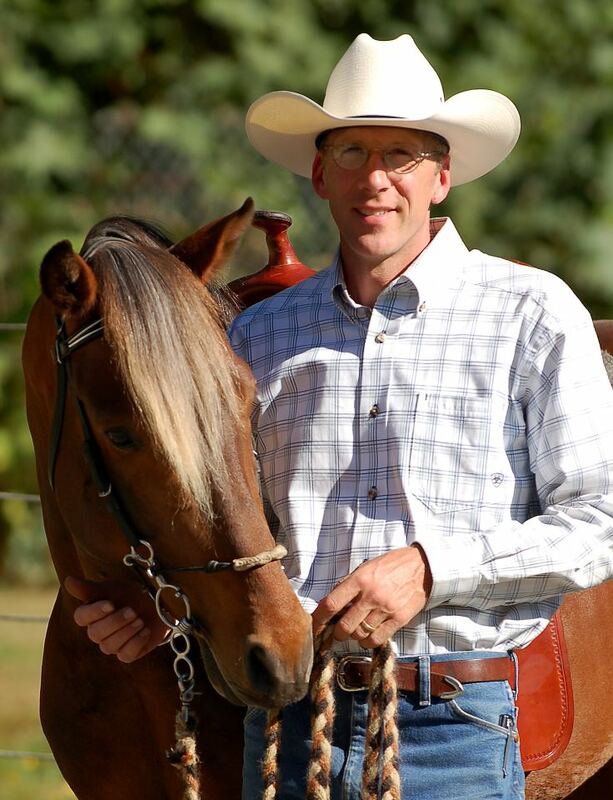 Rick Brighton is a well known and widely respected clinician in the Seattle area with over 20 years experience as a gaited horse trainer and horse riding instructor. 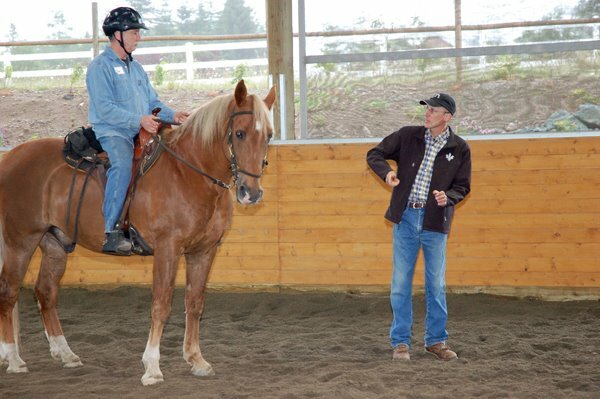 A little more one-on-one clarifying how to direct the horse. Approaching trail obstacles was a great exercise in the clinic today. Very proud of the riders and horses accomplishments throughout the weekend! 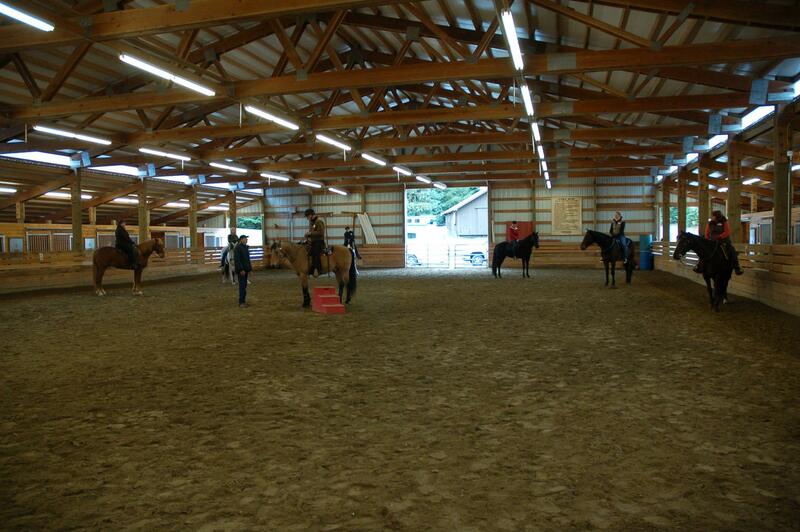 Wonderful group of people and horses at this clinic in Spokane at Lady Raven Stables..
Rocky Mountain Horse. 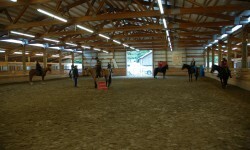 Learning to reduce resistance when teaching to bend at the Riding Place Equestrian Center in Port Orchard. 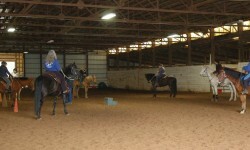 Getting started under saddle after ground work. Relaxed horses ready to learn more. 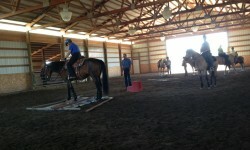 At Ridgefield Gaited Horse clinic. 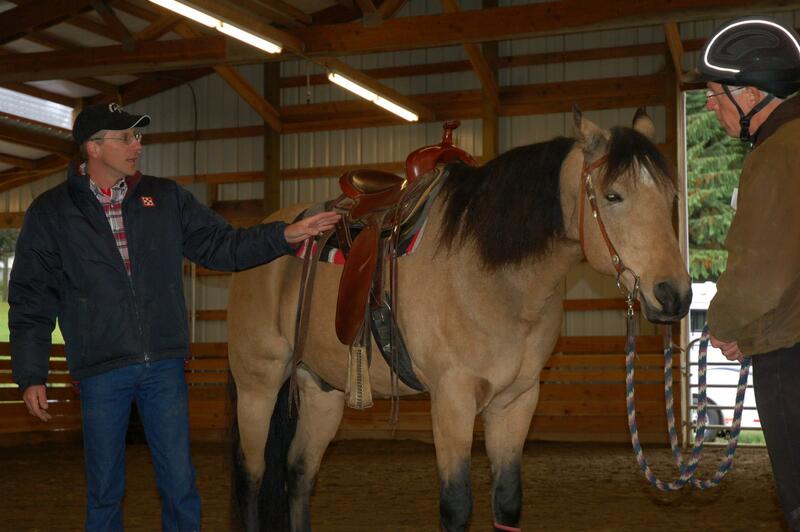 Rick Brighton discussing the importance of a saddle that fits. At Triple J Ranch in Issaquah. 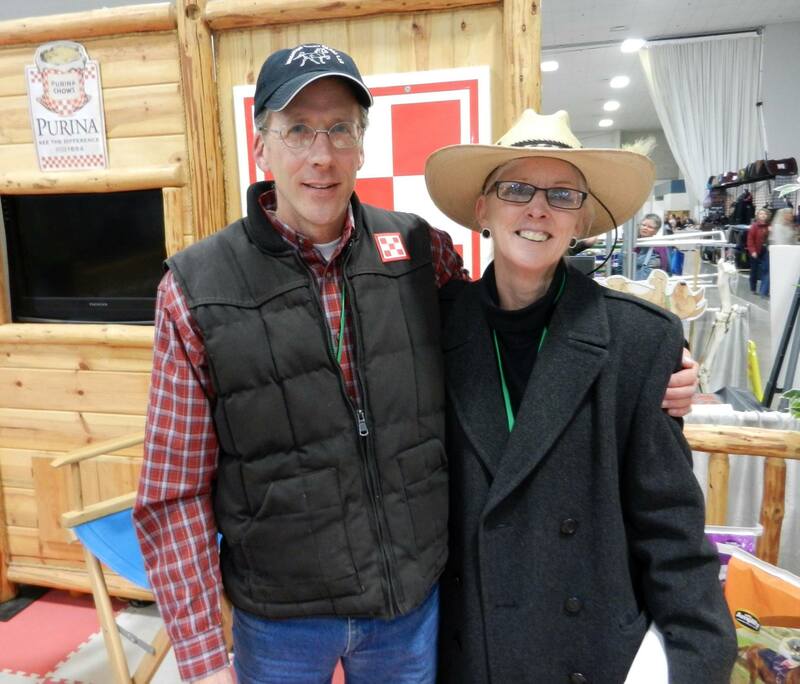 I truly enjoyed spending time and catching up with Elizabeth Graves each day of the Albany expo. We talked about some new exciting things to come for all breeds of gaited horses.One thing is for sure, the future for gaited horses is very bright. I’m excited to be a part of it. 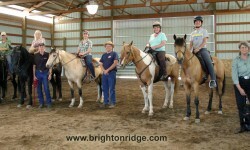 Rick Brighton is a well known and widely respected clinician in the Seattle area with over 20 years experience as a gaited horse trainer and horse riding instructor; working with Rocky Mountain Horses, Kentucky Mountain Horses, Tennessee Walking Horses, Icelandic’s, Gaited Morgan’s, Paso Fino’s, Missouri Fox Trotters, and cross breeds. All breeds welcome! 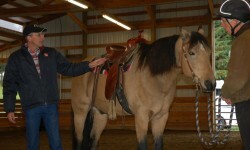 Rick specializes in gentle, humane, resistance free horsemanship. His sought after techniques are simple, easy to understand and follow. 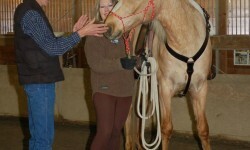 He teaches how to work with your horse using a good heart and being respectful to them, building trust and confidence in both horse and rider. 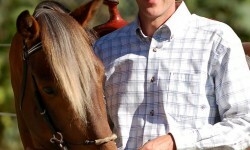 Rick custom fits each training session, lesson, and clinic to the individual (horse and rider) with a focus on safety. 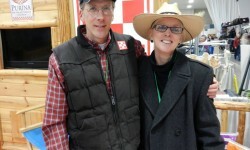 Rick and his wife, Kim, own Brighton Ridge Farm LLC conveniently located 40 minutes SE of Seattle, WA where Rick teaches and trains. 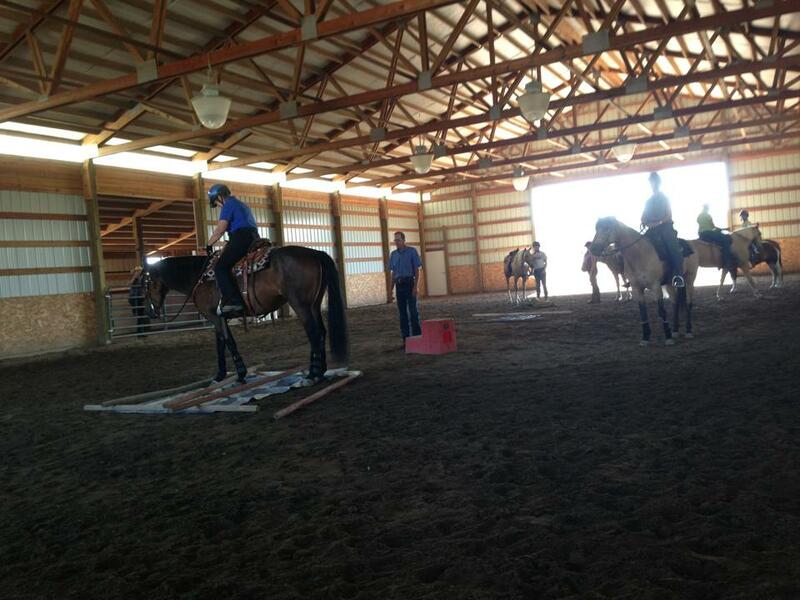 Create the foundation to set you and your horse up for success! I feel very fortunate to be able to train with Rick. There is something so sincere about his way of teaching and training. 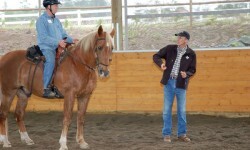 You can tell he is teaching things based on his own learning and the many years he has spent helping horses and riders. 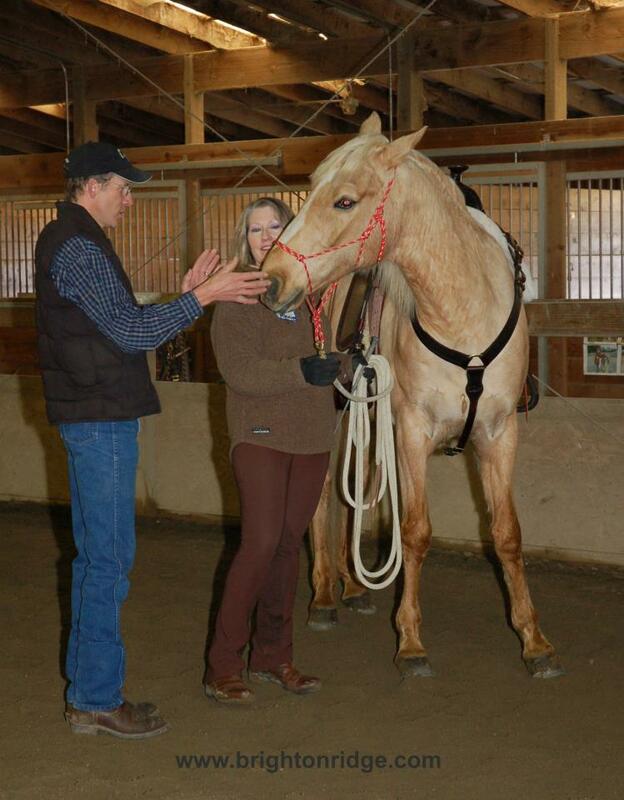 I really like how he applies his experience, knowledge and natural talent to intuitively figure out what is right for a specific horse or rider, and how they can overcome obstacles and continue to progress in their learning. I especially like his approach to keep things comfortable and safe (“in the green zone”) while slowly expanding and building the horse’s and the rider’s confidence – that makes it fun! See Rick’s website for additional information.